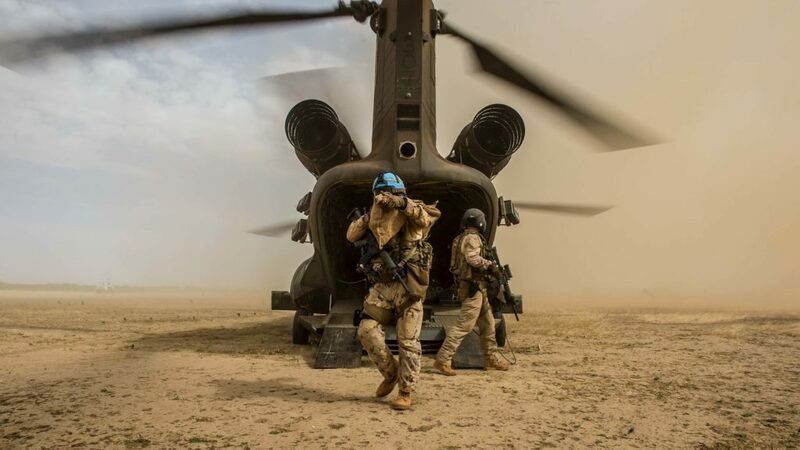 Romania will deploy transport helicopters to the United Nations peacekeeping mission in Mali (MINUSMA), replacing the Canadian deployment, Canada’s ministry of foreign affairs said in a release. 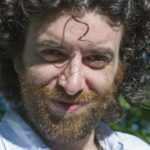 The decision followed a bilateral meeting at the NATO Foreign Ministers’ Meeting in December 2018, Global Affairs Canada said in a Thursday, January 21 release. “Romania’s commitment to replace Canada is an example of the continuing close cooperation among NATO allies to deliver critical capabilities to the U.N., in line with the “smart-pledging” approach, which ensures countries’ contributions match real needs on the ground,” the release said. “In line with its long-standing support for multilateralism, Romania is proud to cooperate with Canada and other close partners in providing a substantial and effective contribution to a very important U.N. mission,” Romania’s Minister of Foreign Affairs Teodor-Viorel Meleșcanu said. 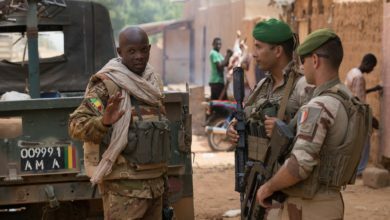 Canada is due to complete its mission in Mali on July 31, and Defense Minister Harjit Sajjan told reporters in Ottawa that troops would return home on schedule. However, a Romanian official noting the country’s peacekeeping efforts said an “airlift helicopter detachment” would deploy to MINUSMA “starting October 2019,” according to a January 30 Ministry of National Defence release. It is unclear which aircraft or how many personnel Romania will deploy to Mali, and Romania’s Ministry of National Defense has not yet responded to a request for comment. Following two years of talks with the U.N., Canada committed to deploying an air Task Force of helicopters to the U.N. mission MINUSMA for twelve months in March 2018. 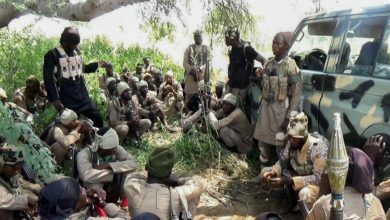 The first Canadian troops arrived in Gao in northern Mali in June, and the ATF, Operation Presence, became operational in August. 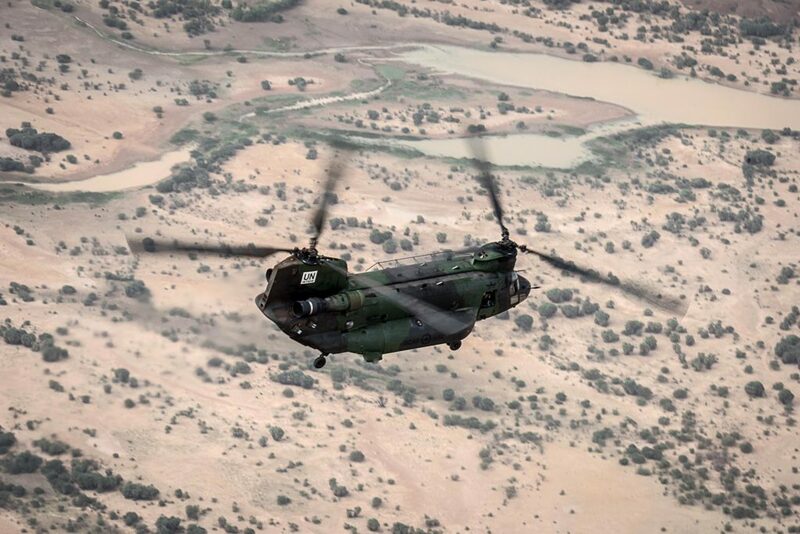 Around 250 Canadian personnel are deployed in Gao along with three CH-147F Chinook heavy transport helicopters, and five CH-146 Griffon helicopters, which are intended as armed escorts, according to Canada’s Department of National Defense. 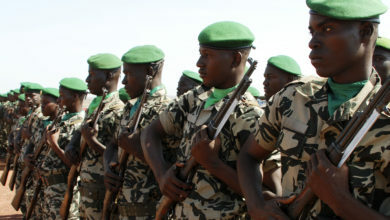 Up to 10 personnel work as staff officers at MINUSMA headquarters in Bamako. The core Operation Presence mission is providing a 24/7 medical evacuation capability, as well as transporting troops, equipment, and supplies, and logistics support. Canada’s ATF completed its first medical evacuation on September 11, 2018. As of January 22, it has conducted six medevac missions and flown more than 2,100 hours in support of MINUSMA. Additionally, a CC-130J Hercules aircraft from the Tactical Airlift Detachment and Operational Support Hub in Dakar, Senegal has airlifted more than 1.62 million pounds of cargo, flying more than 850 hours in support of Operation Presence. 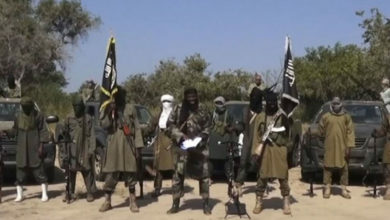 Earlier in January, Tunisia said it would deploy a C-130 Hercules aircraft and around 750 troops to Minusma by March, Ukraine authorised the deployment of up to 20 personnel, and Ireland said it would deploy 12 members of its Army Ranger Wing special forces unit to operate on long distance patrols, while this week Guinea reportedly announced it is to double it’s contingent to two battalions. The third-largest U.N. peacekeeping mission, Minusma had 12,336 military and 1,771 police personnel, 436 staff officers and 39 experts deployed from more than 50 U.N. partner nations as of December 31. Considered the U.N.’s most dangerous mission, there have been more than 177 fatalities since it first deployed in 2013, with 12 blue helmets killed so far this year. 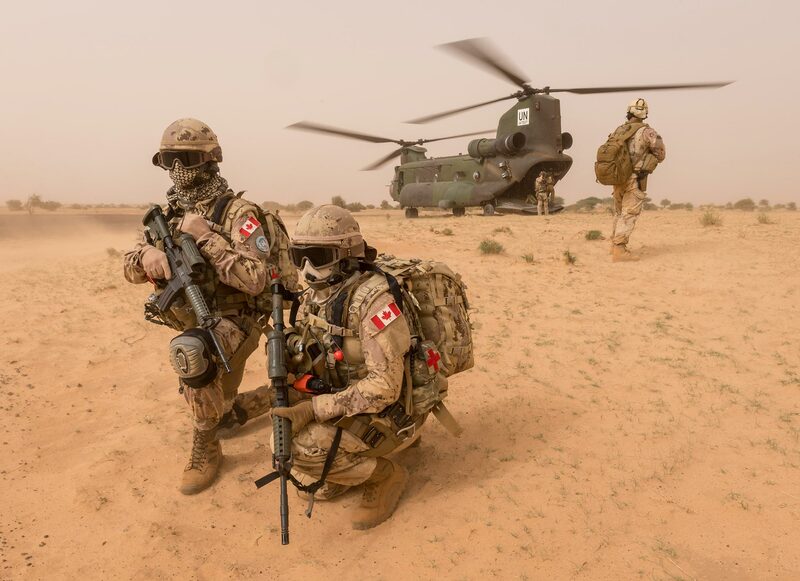 On January 20, 2019, the Canadian detachment responded with air support to U.N. forces in Aguelhok, following a complex attack in which 10 peacekeepers from Chad were killed and at least 25 injured. 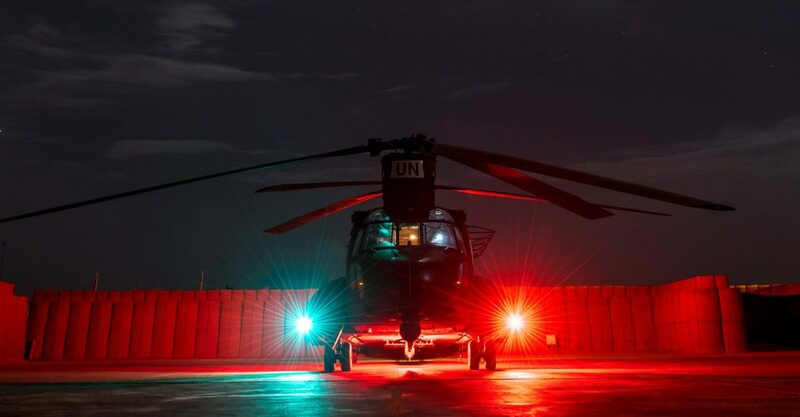 Three CH-146 Griffon and two CH-147F Chinook helicopters delivered water, food and ammunition to peacekeepers in Aguelhok and evacuated 15 wounded soldiers. 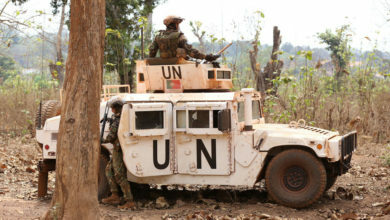 Five days later, two peacekeepers from Sri Lanka died and six were injured near Douentza in the Mopti region of central Mali after their vehicle hit a mine. 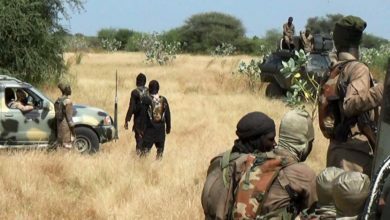 A peacekeeper from Burkina Faso was injured in a separate roadside bomb attack near Douentza the previous day. 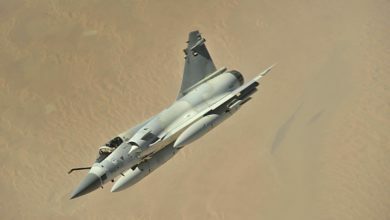 The French mission evolved into the current Operation Barkhane, which has roughly 4,500 French personnel deployed with a mandate for counter-terrorism operations across the region. 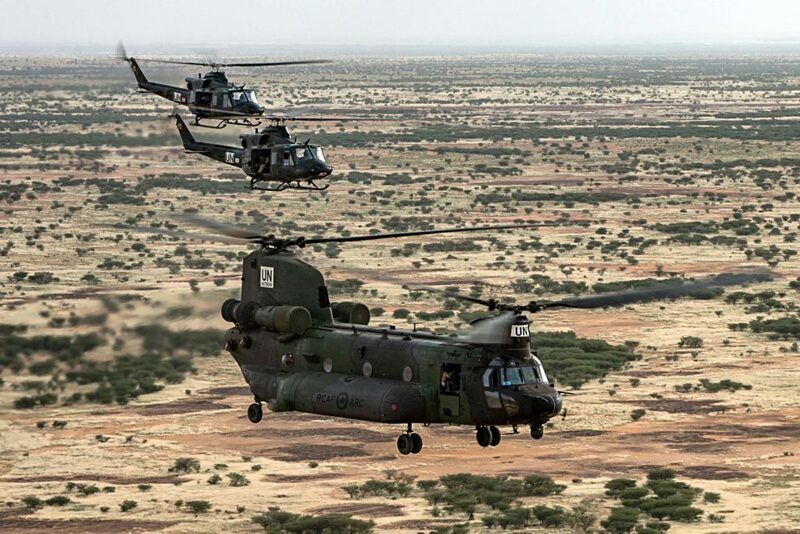 Three U.K. Royal Air Force Chinook heavy lift helicopters based in Gao have since August 2018 supported French troops in Mali, and 50 Estonian soldiers are deployed in Gao in a force-protection capacity. 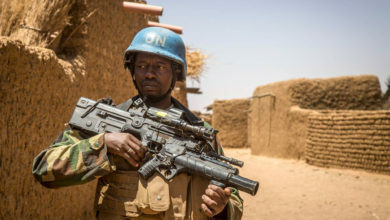 Troops deployed to Barkhane work alongside the U.N. Minusma stabilization mission in Mali, as well as the G5 Sahel joint counter-terrorism force that aims to train and deploy up to 5,000 personnel. The 620-strong European Union Training Mission in Mali was established in 2013 and has a mandate until May 2020. Troops from 22 member states and five non-E.U. 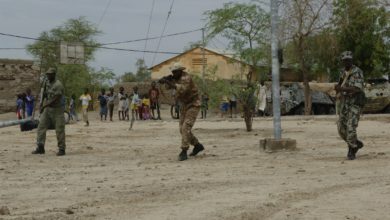 states work with both the Armed Forces of Mali (FAMa) and the G5 Sahel Joint Force. it has trained around 13,000 FAMa personnel. 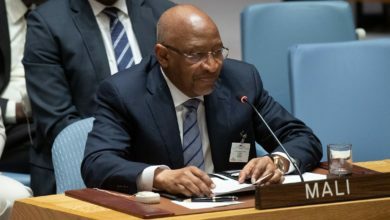 Last June, the E.U.’s diplomatic chief proposed a new €10.5 billion ($12.4 billion) “peace facility” that could pay for military equipment, including lethal weaponry, for partner countries in crisis zones such as the Central African Republic and Africa’s Sahel region. 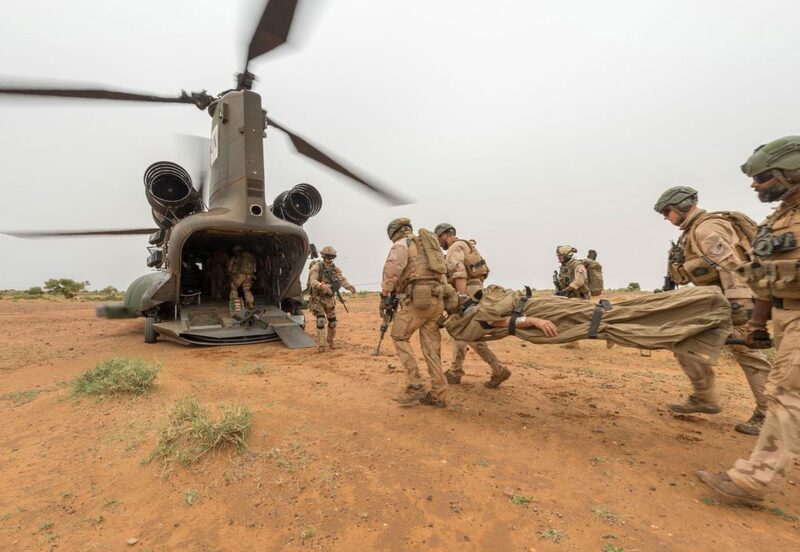 Members of a Dutch long range patrol team load a simulated casualty onto a Canadian CH-147 Chinook helicopter around Gao during a medical evacuation exercise in support of Operation PRESENCE – Mali as part of the UN peacekeeping mission MINUSMA, July 31, 2018.